Tamron is going into CP+ in style with two new lenses for their growing high-end SP series, the full-frame SP 85mm f/1.8 Di VC USD and SP 90mm f/2.8 Di VC USD 1:1 Macro lenses, as well as a TAP-in Console that will give users advanced controls over their lenses’ customizable functions and enable them to update firmware. This brings the SP series up to a total of four lenses, including the previously announced 35mm f/1.8 and 45mm f/1.8, all of which are designed for ideal ergonomic operation and durability as well as optical excellence. 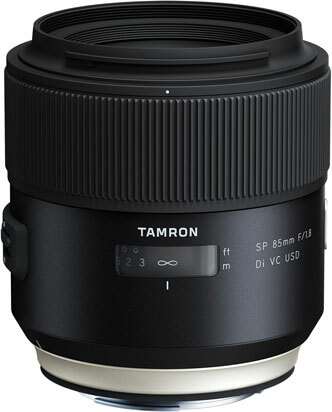 Starting with a first for Tamron, and lens design in general, is the SP 85mm f/1.8 Di VC USD, which stakes its claim as the first fast 85mm lens for DSLRs that has built-in Vibration Compensation image stabilization rated for up to 3.5 stops. This lens also aims to balance high resolution and clarity with attractive bokeh, making it ideal for portraiture and other arenas where photographers want separation between their subject and the background. 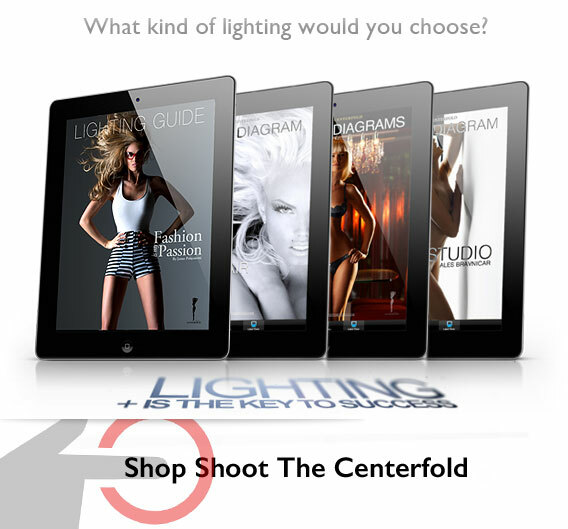 In order to achieve these excellent results, the 85mm features LD (Low Dispersion) and XLD (Extra-Low Dispersion) elements that minimize color fringing and maximize contrast as well as a nine-blade circular diaphragm. 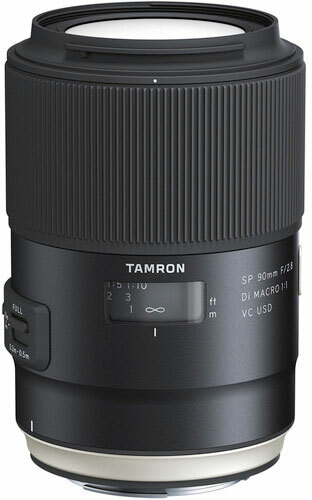 Another advantage on Tamron’s SP series is the use of eBAND (Extended Bandwidth & Angular Dependency) and BBAR (Broad-Band Anti-Reflection) coatings which nearly eliminate flare and ghosting. Operation is fast and smooth with a ring-type USD (Ultrasonic Silent Drive) AF motor that is quiet and accurate; the lens can also be shifted into manual focus by just turning the focusing ring. A moisture-resistant construction furthers the lens’ qualities along with a fluorine coating on the front element, which prevents condensation and smudges from collecting on the optic. And, the Nikon version now benefits from an electromagnetic diaphragm system, which has previously been used in the Canon EF mount, for precise, reliable, and repeatable control over the aperture. It will be available in Canon EF, Nikon F, and Sony A mounts. Experienced shooters may be familiar with the next lens from Tamron, the SP 90mm f/2.8 Di VC USD 1:1 Macro as it is a “rebirth” of their original and highly respected 90mm f/2.8 macro with all the advantages brought by the latest in imaging technology. Among the key advantages of this new design is the use of one LD element and two XLD elements that compensate for chromatic aberrations from life-size macro to infinity. It also has a Floating System that physically moves a group of elements to ensure the highest quality image at all focusing ranges. The VC system also sees a major improvement with the use of an accelerometer as well as a gyroscopic sensor to control camera shake on the X-Y axis to result in up to 3.5 stops of stabilization. The 90mm macro has numerous other improvements, especially in build quality with a moisture- and dust-resistant construction along with a fluorine coating on the front element. The lens also features a USD autofocus motor which has been optimized for macro shooting and compensates for slight back-and-forth movements seen often when working at close ranges of up to 11.8” for 1:1 magnification. Focusing is benefitted by the use of a focus limiter which will dramatically speed up focusing by working within a range specified by the user. Full-time manual focus override is available for precise control. Finally, it has a nine-blade circular diaphragm for smoother out-of-focus elements when using shallow depth of field techniques. This lens will be available in Canon EF, Nikon F, and Sony A mounts. Supplementing the SP Series of prime lenses is the TAP-in Console which allows customers to plug their lens into a Windows or Mac computer and use the Utility Software to make adjustments to optimize performance and update firmware. 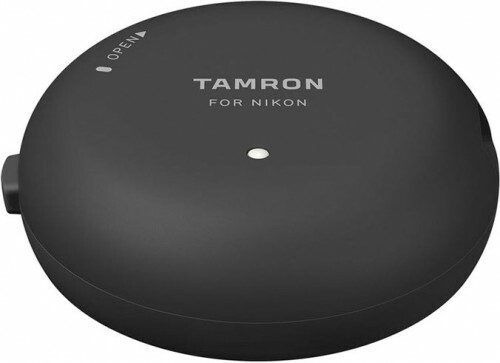 This means that end users can now make tweaks themselves without needing to send their lens into Tamron for service. These customizations include focus adjustment, also known as micro adjustment, with three regions (close, intermediate, and far) for distance and up to eight segments for zooms. Users can also program the focus distance limiter function on compatible lenses as well as the Vibration Compensation function. Additionally, the lenses’ full-time manual focus can be set to on/off and sensitivity of the focus ring can be set to your desired setting. The TAP-in Console is available in Canon EF, Nikon F, and Sony A mount types, and is currently compatible with the new 85mm f/1.8 and 90mm f/2.8 lenses, as well as the SP 35mm f/1.8 Di VC USD and SP 45mm f/1.8 Di VC USM lenses.